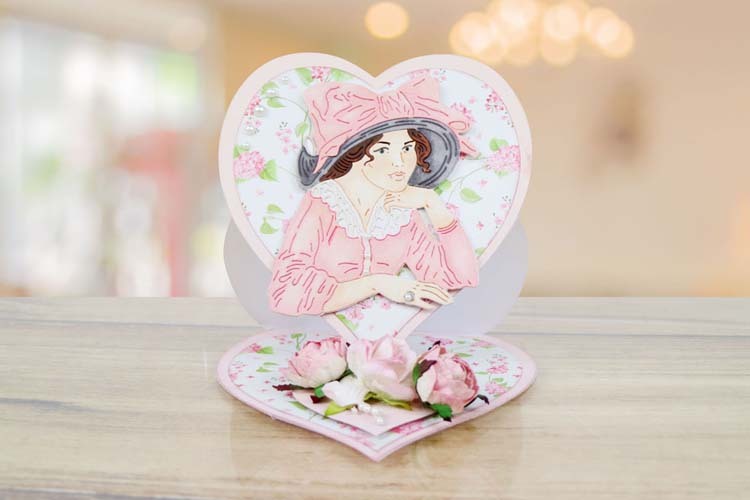 The Beautiful Annetta die consists of the upper body of a vintage lady dressed in a wide brimmed fashionable hate to create the ultimate statement, complete with a lacy collar and accessory detailing. 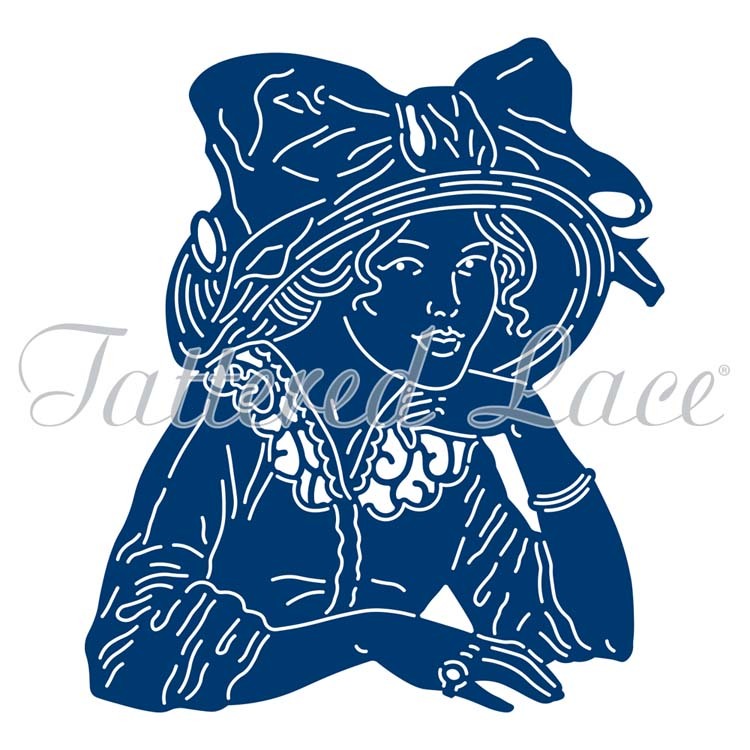 This die comes with beautiful intricate details creating folds in the clothes, facial characteristics and ruffles within the bow across her hat for a real life look. 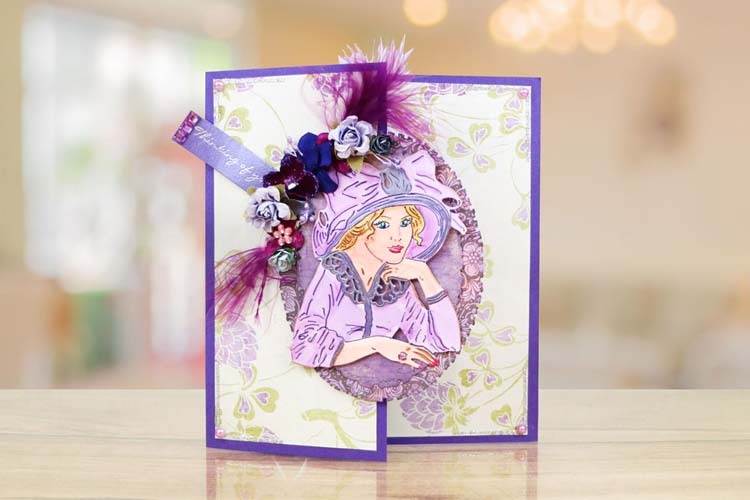 She would work perfectly inside of an aperture or window card, add a printed background behind to create a scene. 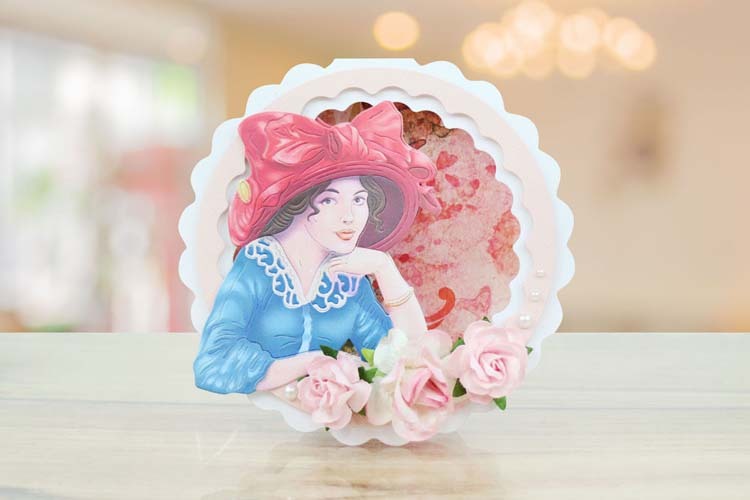 Cut from white cardstock and colour in with your favourite pens to create a wide range of different looks, combine with pens with water colours to add a vintage finish. This die measures approx: 3.71" x 4.31"